In May 2016, Andrey had a haemorrhagic stroke, which led to the serious consequences: hemiplegia and sensorimotor aphasia. Apart from that, there were concomitant deseases – osteochondrosis, thoracalgia, essential hypertension and others. In March 2017, at the insistence of his friends and relatives, Andrey came to Greece for treatment. Firstly, he was fully examined at St.Luke’s Clinic by cardiologist Amalia Kokkinomagoulou, neurologist Kiriakos Garganis and other specialists. Afterwards, doctors-rehabilitologists of the Medical and Rehabilitation centre “Anagennisi” created an individual treatment programme. Andrey underwent an intensive rehabilitation treatment with physiotherapy, hydrotherapy and occupational therapy. 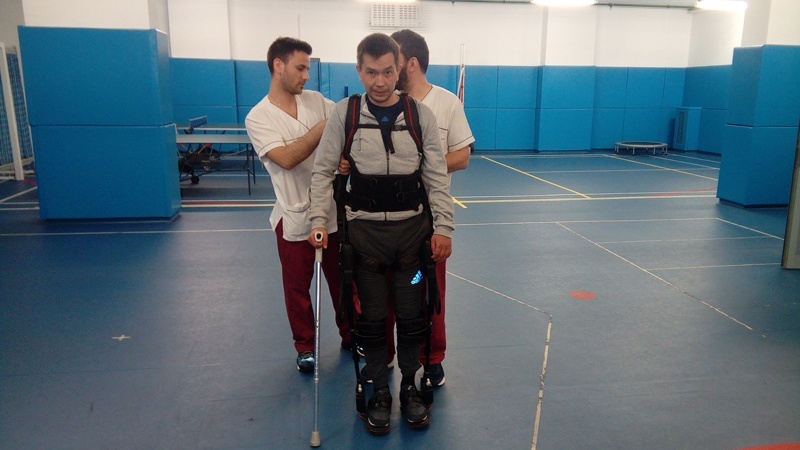 Also, the patient was training with an instructor on the Ekso Bionic Exoskeleton, which is a portable, adjustable bionic exoskeleton designed to help patients with lower-extremity paralysis or weakness resulting from a spinal cord injury (SCI) or other neurologic condition, including stroke and multiple sclerosis, to stand up and walk. The Medical and Rehabilitation centre “Anagennisi” in Thessaloniki has the only Eksoskeleton in the entire Balkan peninsula. 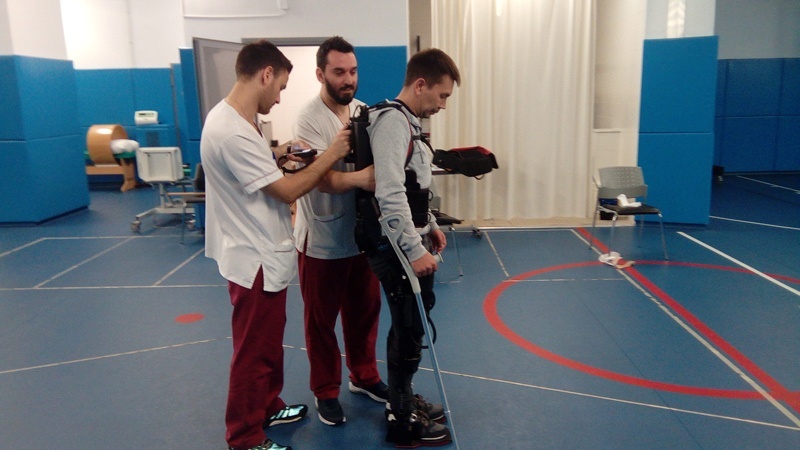 In this way, Andrey has been trained to walk again correctly, without dragging his feet, something that he used to do after the stroke. Thanks to the hydrotherapy he had improved his balance; exercises for the hand on the Armeo Spring helped him to improve his fine motor skills. Andrey left for home having changed entirely.